Carbonite Warehouse is a plugin for carbonite maps. 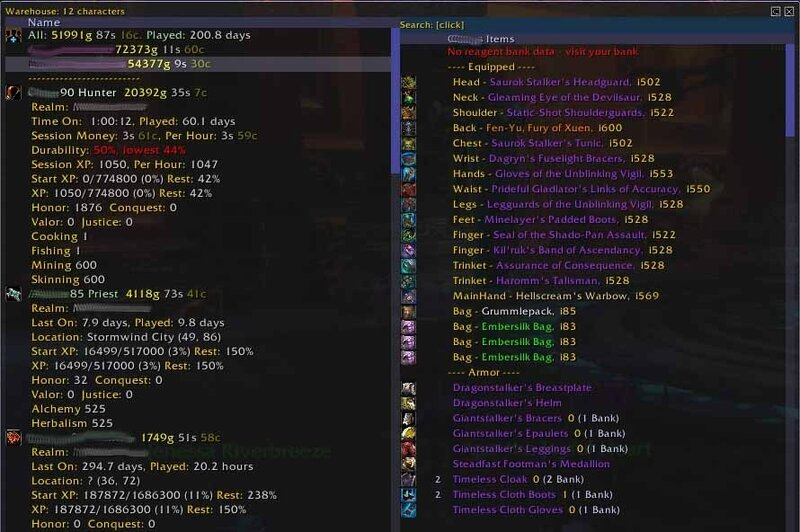 It includes a tooltip addon which shows you how many of each item you have on your alternative characters, along with an overview window which allows you to view any characters inventory or basic stats such as gold amount or honor, where they logged out or how much time you've played them. And later that day, a new version comes out that fixes this issue. Thanks!